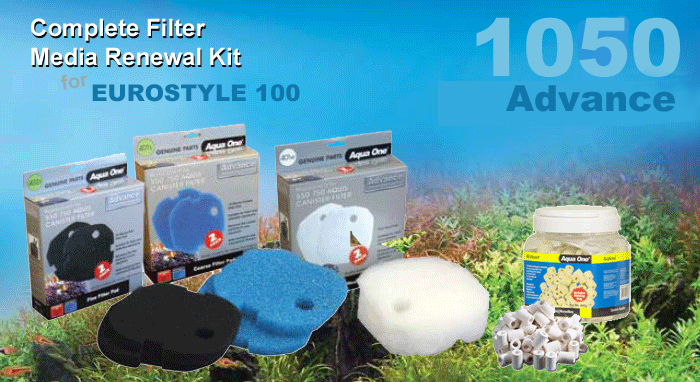 Keep your EuroStyle Corner 100 aquarium in perfect condition with a full range of spares from Aqua One. 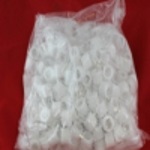 We have all Advance 1050 filter media, lighting tubes, heaters, food, decor and much more... No one cares more about your aquarium than Aqua One and Aquarium Parts. ** New - Aqua One 100cm RetroGlo LED Light Unit with built in timer suitable for EuroStyle 100, Aquience 1000 and several other Aqua One aquariums. Replaces original T5 Lighting Unit with the very latest in aquarium LED technology. A complete replacement T5 light unit to suit the EuroStyle 100 aquarium. 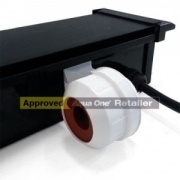 Supplied complete with 2x 24w T5 fluorescent tubes, mains cable and UK plug. This is an original and fully guaranteed Aqua One light unit. The EuroStyle 100 uses Aqua One's very capable Advance 1050 Canister Filter which means that maintanence is both easy and reasonably infrequent. 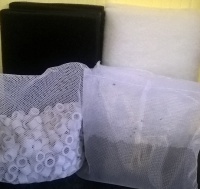 We recommend changing the wool pads once a month, rinsing the filter foams im a little aquarium water at the same time and exchanging these every 6 months as they deteriorate over this period. It's also a really good ideaa to change your aquarium lighting tubes every 6 months or so, as spectral output from fluorescent tubes will diminish over this period, which can often lead to an increase in algae in your aquarium.